Artista de los medios Dell ofrece los nuevos modelos Studio 1555 a un competitivo precio de 499.00 euros y tambien los publicita de forma acorde. Por este aparente precio de ganga, consigues una escasa versión básica, sin embargo. Pero si lo configuras bien, aún consigues un precio atractivo y un buen ratio precio valor. Las fortalezas y debilidades de este multimedia de gama básica deberían quedar al descubierto en este extenso analisis. Quite frankly, we were surprised to find a Dell Studio laptop on the shelves at Staples. We would have guessed that as Dell's upscale, entertainment-focused laptop line, the Studio would have ceded shelf space to Dell's mainstream Inspiron line. Both laptop lines are present at the office-supply store, however, and representing the Studio line is the Studio 1555 (4285MBU) ($749.98), a 15.6-inch desktop replacement. With its long-lasting battery, useful feature set, and functional design, the Dell Studio 1555 is still the 15.6-inch laptop to beat. On first look i found that the build quality was better than expected, I had read a fiew reviews by owners that thebase was flimsy and so was the keyboard. I have found this to be quite solid and i can see no flex at all. The keyboard is very responsive and a pleasure to use, although i find that some of the keys give a slight squeeking noise when pressed. I intend to get a backlit keyboard sometime soon so that should fix the squeeking problem. A great all rounder laptop that should full-fill the needs of most, Not to over priced and has some good choices when configuring to buy. Despite this, it's hard not to come away a little disheartened from our first encounter with the Studio 1555, however. Dell's Studio range of notebooks failed to bowl us over when it strode into view in the tail end of last year and, if anything, the Studio 1555 takes a step backwards from there. The good looks, solid performance and keen pricing may be enough to tempt some prospective buyers away from its budget rivals but, ultimately, the iffy build quality and mediocre keyboard put paid to its class-leading aspirations. 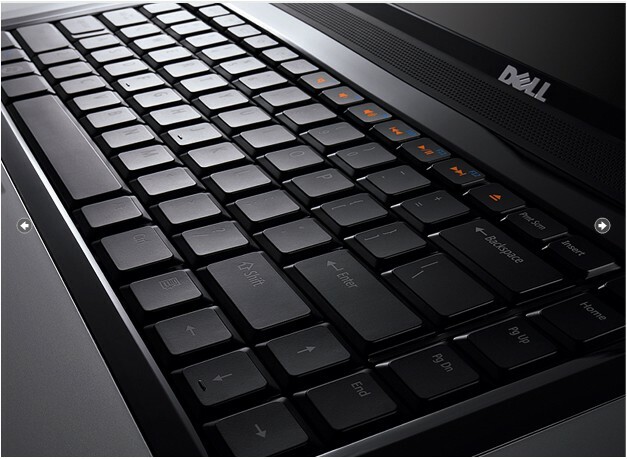 Regular readers will recognise the Dell Studio 1555. We reviewed a version of it in July and went away very impressed, so impressed in fact that we gave it a 9/10 and a Recommended Award. However, as has been the case for a little while now, it's possible to buy Dell laptops from retailers like PC World, not just Dell itself. Today we're looking at it again in its retail incarnation, which is on sale for £599. If you buy the Dell Studio 1555 from your local hardware emporium you won't be disappointed, it's fundamentally a very good laptop with especially good battery life. However, if you're really keen on it, it's worth checking with Dell first to see if you can't get a little more bang for your buck. The Dell Studio 1555 (USE006CS) ($799.list) is an affordable desktop replacement laptop that is neither too cheap to be called a recession special nor expensive enough to be labeled a power house. It falls into that perfect balance where all the parts are better than what you would expect to get at this price—and that's a great feeling. Though it isn't as afforable as the Gateway NV5807u ($600) or the HP Pavilion dv6t (1030us) ($750), its comprehensive array of ports, 500GB hard drive, and 6 hours of battery life more than justifies this price difference and earns it an Editors' Choice in our desktop replacement category. The Dell Studio 1555 edges past its budget rivals by including a bigger hard drive, more battery life, and a two-year warranty. Dell's Studio range of laptops first debuted last year in the shape of the Studio 1535, but to keep things fresh the PC giant has updated its 15in mainstream offering with the Studio 1555 (15 for short) we're looking at today. 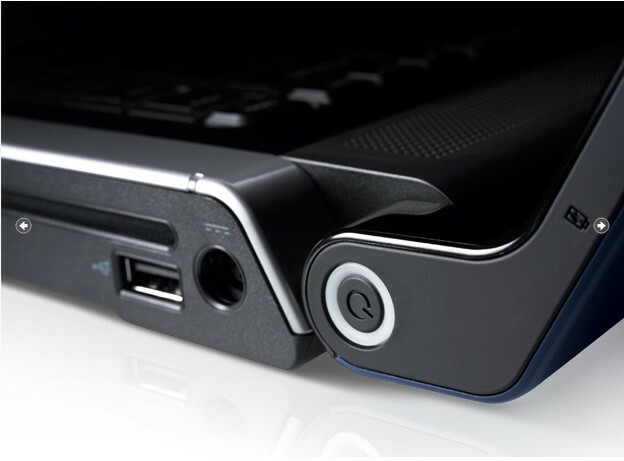 If you're after a flexible and powerful laptop for the home and occasional mobile use, the Studio 1555 is a very good option. It's attractive, easy to use and can be configured more or less as you please. Discrete graphics options mean it's also a reasonable gaming machine, while the backlit keyboard and Full HD display options will tantalise those with cash to burn. 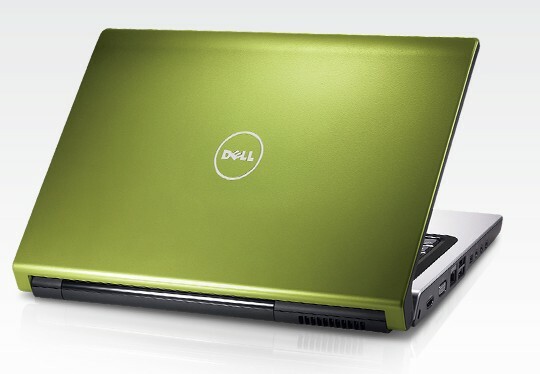 The Dell Studio 15 (1555) offers an impressive balance of customizable features and performance at a fair price. The modern looks, custom lid options, and affordable upgrades are sure to make this a popular notebook for many consumers. Unfortunately, the weak speakers, lackluster build quality, and average port selection will probably leave several owners wanting more. If you're in the market for a nice family PC that has a fantastic range of multimedia features at a good price then the Dell Studio 15 is worth consideration. If you can't look beyond the flexible plastics and horrible speakers then luckily there are many alternatives on the market with 15-inch screens. 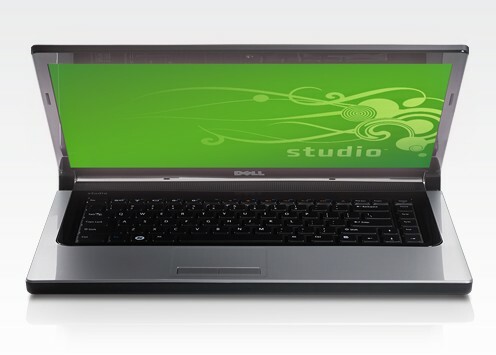 Dell’s Studio 15 has been around for a little while now, impressing on a number of levels. The widespread adoption of 16:9 widescreen displays meant it was only a matter of time before a major update appeared, and the latest Studio 1555 has a lot to live up to. Subtle revisions to Dell’s Studio 15 means it’s not that different to its predecessor, which isn’t a problem: it already offered better styling than most and excellent value for money. A great keyboard and impressive quality means it remains one of the best mainstream laptops you can buy. ATI Mobility Radeon HD 4570: GPU de clase media baja que presenta un bajo número de shaders y un bus de memoria de bits y una alta velocidad de reloj. Similar a la Radeon 4550. Soporta Avivo HD y DirectX 10.1. Estos procesadores gráficos pueden mostrar únicamente juegos antiguos, fluidamente. Juegos actuales pueden ser presentados con detalles sustancialmente reducidos. 79.91%: Esta evaluación no es convincente. Debe ser considerado que difícilmente existen portátiles que reciben una evaluación abajo de 60%. Esta portátil es evaluada abajo del promedio, esta realmente no es una recomendación para la compra.